Its cranes dot the city skylines. From expressways, sports stadiums, office towers and billion-dollar infrastructure projects, Lendlease now rakes in more than $16 billion a year in earnings. How is it then that the construction juggernaut has paid no Australian tax in years? Jason Ward and Michael West report. 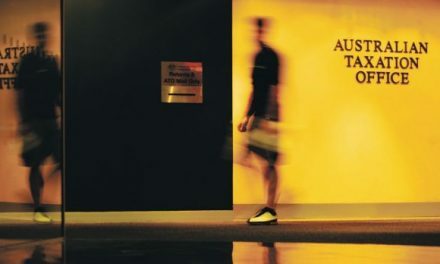 Tax Office transparency data shows the group recorded total income of $24.4 billion over three years to 2016 but paid no Australian tax during that time. Paying zero tax is no obstacle to keeping shareholders happy though. Lendlease has forked out $1.5 billion in dividends since 2013. Given its claim that over 70 per cent of its profits come from Australia, just how is Lendlease pulling this off? Like other building giants, Lendlease deploys a trust in its group structure. But other clues to this tax puzzle can be found in the group’s retirement village division. The company has issued a statement to michaelwest.com.au in response to questions (below) denying any foul play on the tax front but it appears Lendlease is effectively double-dipping on tax deductions and may face a billion-dollar comeuppance. When it comes to tax, retirement villages have particular rules. If the arrangement between a village owner and a resident is a lease, the receipt of the lease premium by the village owner is taxable and the repayment by the owner to an outgoing resident is tax deductible. If, on the other hand, the arrangement is an interest free loan, the loan and its repayment have no tax consequences. What Lendlease has been doing is buying villages, claiming a bonanza of deductions by changing the contracts from lease to loan arrangements, booking the benefit of those deductions to its bottom line, and ignoring the tax law that says you can’t double dip. A parallel might be described in terms of a holiday house. You can include interest on a loan used to buy a holiday home in the home’s cost base because that interest expense is not tax deductible. (You can claim interest on a loan used to buy a rental property as a tax deduction – because you are receiving rent – but you can’t include the interest expense in the rental property’s cost base.) So you can claim a deduction for an expense or include an expense in the asset’s cost base. But you cannot do both. Unless, that is, you are Lendlease, which appears to be claiming a deduction and keeping it in its cost base too. It is the quintessential double dip. Lendlease has built the biggest retirement village business in Australia by acquisitions. And it has been doing so to harvest tax deductions and use those deductions to cover Australian tax on its broader operations. Like rival retirement village and aged care company Aveo, Lendlease is also expanding rapidly into the publicly-funded residential aged care business. In the most recent round (mid 2017) of government funding approvals for new residential aged care places, Lendlease’s retirement village operations were the biggest winner. The group was awarded 756 new aged care places worth an estimated $50 million a year in recurrent annual government funding. Lend Lease’s retirement village business was originally known as Primelife. It was subsequently, briefly known as Babcock and Brown Communities but was bought by Lendlease in 2009 and re-structured and re-branded by 2011. 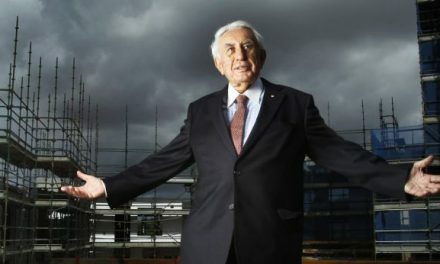 Once Lendlease consolidated the Primelife retirement living business into its tax group around 2012, Lend Lease chief financial officer at the time, Tony Lombardo, explained that Lendlease “simplified” the agreements with residents. Lendlease and the village residents changed their contractual terms from leases to loans. While no cash changed hands – and residents were likely no worse off – the practice produced a massive tax shelter for Lendlease. Realising they were on a good wicket, Lendlease continued to buy scores of new retirement villages, replayed the scheme, and produced more and more tax benefits. 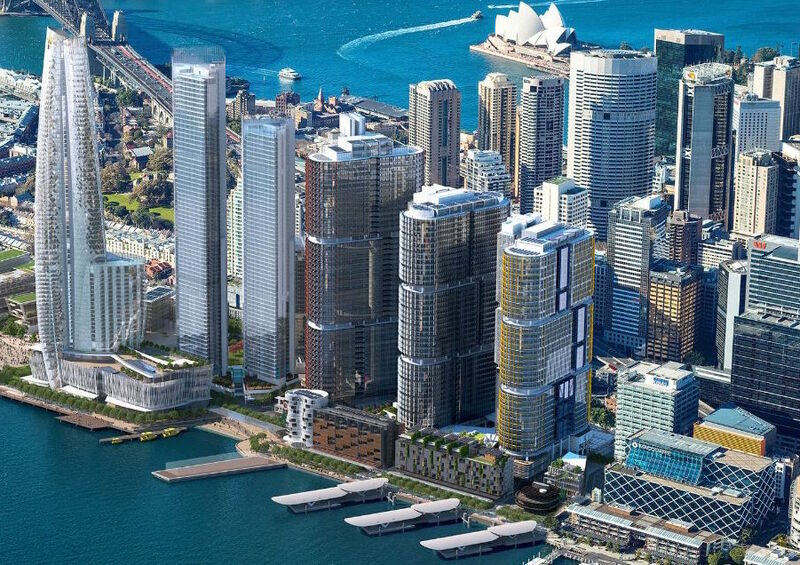 This gave Lendlease a huge timing advantage. It wasn’t actually outlaying much and yet obtaining enormous deductions. And that would have been fine, had they stopped there. But Lendlease wasn’t happy with merely harvesting deductions and pushing tax payable back years and years, No, Lendlease didn’t want to pay tax at all. The accounting standards, which have the force of law, require a company to recognise a deferred tax liability whenever it claims a timing advantage. It is like when we depreciate our computers. You can claim the depreciation deduction, but the cost of the computer is written down. Lendlease, however, has chosen to ignore that rule, Additionally, it was able to gain further tax advantages by depreciating the value of the properties over time. While the excessive tax benefits may have warranted further attention from authorities, they were likely within accepted frameworks until Lendlease offloaded a 25 per cent interest in the Retirement Living business in October 2017. The sale valued the whole business at over $1.7 billion, a slight premium to the book value. Despite the sale for an estimated $450 million, Lendlease reported it would absorb a $35 million net loss after writing down deferred tax assets. Even though that number was modified in a subsequent release, the fact that Lendlease could book a loss on a sale worth nearly half a billion is curious, especially when they said the deal was done at a premium to carrying value. While Lendlease has not filed its tax return for the sale period yet, the sale should have triggered a substantial capital gains tax on the depreciated value of the sold properties based on the sales price. It would also remove the accrued tax benefits from the Lendlease tax group. We don’t know what the impact will be on Lendlease’s future reporting, but its last five or six filings may have inflated the company’s reporting of retained earnings by treating depreciation claimed as an boost to profit rather than a timing difference. The potential benefit from its Retirement Village schemes since 2012 could be over $1 billion dollars . The sale of the 25 per cent interest in the retirement living business in October was to Dutch pension asset manager APG. APG is a subsidiary of ABP, Europe’s largest pension fund, and manages retirement assets of four and a half million active and retired public and private sector workers in the Netherlands. It also appears that global accounting firm KPMG may have failed to pick up the Lendlease ruse, a ruse which may be about to whack the retirement savings of millions of Dutch workers via a $75 million tax liability on the $450 million investment. KPMG is the long-term auditor of Lendlease. Lendlease appears to have taken a particularly aggressive, and wrong, view on its tax obligations. Yet it claims in its Tax Report not to engage in aggressive tax planning. Presumably, the Tax Office is aware of what the company has been doing and may at some point take enforcement action. More worryingly, it may turn out that Lendlease has been filing incorrect financial statements and may need to restate its accounts for several years. There are a few things the company could do to clear the air. Firstly, confirm the quantum of tax deductions it has claimed by changing the contractual arrangements with the residents in its retirement villages. Just how much has Lendlease claimed by doing this? Secondly, make clear whether it has treated those deductions as timing differences in its accounts, or rather treated them as a permanent advantage. If Lendlease has treated them as a permanent advantage, it is obliged to clearly explain to the market how it is that the tax law which says you cannot double dip does not apply to them. If Lendlease acts with all the integrity and transparency it has emphasised in its response to questions for this story, it should be able to clearly articulate how it can do what it has been doing. Can the company precisely explain why the tax law, which says you can’t have it both ways – claim an amount as a deduction and include it in cost basis – does not apply to what they have been doing? As a broader matter of public interest, LendLease’s aggressive tax arrangements are fairly typical of the retirement village and aged care sector. It is a significant issue of national interest that these companies pay tax especially as they receive federal subsidies worth millions of dollars a year in their aged care divisions. Taxpayers, it would appear, are in a lose-lose situation. The newly formed Senate Inquiry into the tax practices of for-profit aged care providers may be keen to call Aveo and Lendlease to answer some questions about government funding on the one hand and lack of corporate tax payments on the other. Further, given the sensitive nature of the care of Australia’s elderly by corporations whose first duty is to shareholders, the Senate may also wish to explore the complexity of the corporate structures deployed. It is interesting that while Aveo has hidden its expansion into China, Lendlease is proudly boasting of its Chinese expansion. We are looking at the Lend Lease tax position in light of the company’s retirement villages accounting and have some questions regarding disclosure to the market and possible double-counting. We have read the company’s tax disclosures and understand the tax losses situation but there appears to be some clarity needed over the “embedded deductions” matter. 1. In a presentation of the 2016 full year results, Lendlease’s CFO discussed having “some embedded tax losses” and the 2017 Tax Report “Drivers of Effective Tax Rate” notes there are deductions stored up. Could you please shed more light on this? 2. Has Lendlease built any new retirement villages or has growth been solely through acquisition of existing retirement villages? Does Lendlease generate tax benefits from the conversion of lease premiums to interest free loans? What is the benefit to residents and what is the benefit for Lendlease? At what rate are retirement village assets depreciated? 3. In 2016 there were $222.4 million tax losses utilised. Where did these come from? 4. In your tax disclosures, there is “unused revenue tax losses recognised” which have gone from $37 million in 2012 to $281 million in 2017 after peaking at $420 million in 2017. Then another one – “unrecognised revenue losses …. Please explain. 5. Can you quantify what capital gain you made on the sale of APG? Was it between $80 million and $120 million? 6. In your press release announcing the sale to APG, you state that “Due to the transaction, Lendlease will be required to write down the value of certain Deferred Tax Assets associated with the Retirement Living business. The overall impact of the transaction including transaction costs will be a net loss after tax of approximately $35 million.” Can you provide an explanation of this statement on the reported sale of the 25 per cent interest for $470 million? 7. Lendlease was the largest recipient of new aged care places in the government’s most recent ACAR funding round. How many exisiting government-funded residential aged care places does Lendlease have already? Will Lendlease operate these places? How does this fit into the business plan of Retirement Villages? Thanks for the opportunity to respond to your questions regarding the tax outcomes of our retirement living business. The rise in the ageing demographic and the associated housing choice and lifestyle needs of those at retirement, is one of the key global trends that underpin Lendlease’s business strategy. With more than 30 years’ experience in the retirement living sector, Lendlease is Australia’s largest owner, operator and developer of senior living communities. We are exporting our expertise in the sector into mainland China where we recently announced our entry into the senior living market in Shanghai via a 50-year land use contract. Some of the questions you have put to us cannot be answered as they relate to transactions in the current financial year, which has not yet closed. As a listed entity, we are aware of and meet our continuous disclosure obligations in order for the market to be fully informed. This does not allow for selective disclosure. When it comes to our retirement living business, our approach is informed by the ATO’s tax ruling (TR 2002/14) covering the development, operation, purchase and sale of retirement villages. We are satisfied that our approach in this business is in line with this ruling, and is in accordance with external advice we have obtained. Further, Lendlease’s approach enables an appropriate and symmetrical tax outcome for both the taxpayer and the ATO. Regarding the recent sale of a 25 per cent interest in our retirement living business to APG, we applied an even more rigorous layer of external review to provide assurance of our position, given the materiality of this transaction. This transaction occurred in the current income tax year. Lendlease’s Australian tax consolidated return for the year ending 30 June 2018 is not due for lodgement with the ATO until early 2019. We are committed to acting with integrity and transparency in relation to all tax matters and seek to comply with the tax laws in all jurisdictions in which we operate, including Australia, Asia, Europe and the Americas. We are open and transparent about how much tax we pay and we issue a tax transparency report which can be found on our website. Jason Ward is the principal analyst of the Centre for International Corporate Tax Accountability & Research (CICTAR). CICTAR, based in Sydney, is being established by Public Services International, in coalition with local and global partners, to conduct research into global corporations and advocate for transparency and accountability. Ward has been a frequent commentator on corporate tax issues as an analyst and spokesperson for the Tax Justice Network – Australia. He is currently an adjunct senior researcher with the University of Tasmania’s Institute for the Study of Social Change. Over the last several years Jason Ward has conducted in-depth research on Chevon, Exxon, the Petroleum Resource Rent Tax (PRRT) and most recently on the tax practices of the largest for-profit aged care companies.